The Carribean Sea is always a good choice for spending your vacation and Jamaica is absolutely the best place for finding everything a tourist may need. 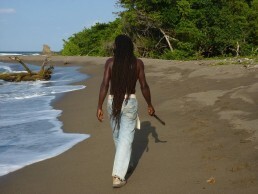 For decades have people in Jamaica been living from and for tourists, so they will surely know how to please you. There is nothing else you should do but to make a reservation and have the time of your life! The island country of Jamaica is surrounded by the fabulous Carribean Sea which, in combination with pleasant tropical climate and fantastic sandy beaches, makes it a real paradise. It has such a diversity of flora and fauna that will make nature-lovers go crazy, especially if they visit some of the protected areas. Its capital city, the legendary Kingston is a true architectural pearl worth visiting at least once in your lifetime. Reaching Jamaica will definitively be the least of your concerns since there are two international airports in the country, and once you arrive, there will be plenty of cabs and other means of communication to reach any point of the island. People have been living in Jamaica for millenniums since it has always been a nice place to settle in. The first people coming here were the native tribes Arawak and Taino from the South America who were still in Jamaica when Christofer Columbus arrived on the island in the 15th century. For the next two centuries, the Spaniards ruled over the island but were then replaced by the British. Jamaica and its famous Port Royal used to be the stronghold of pirates and buccaneers, who harassed the entire Caribbean Sea. The country gained the independence in 1962, and since then it has become worldwide known for its incredible culture, particularly reggae music, and excellent sports achievements. 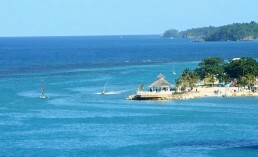 Jamaica has a lot to offer to its visitors, apart from fabulous beaches and wild nightlife. The number one site you should check out is the Rock Fort located above the Kingston Port which will let you enjoy the best view over the entire city. The Seville Heritage Park is a place where Columbus first met with the indigenous people of Jamaica and today it is the best museum where you can learn everything you want to know about the history of the island. If you want to see the classical colonial architecture, then you should go to the small coastal town of Falmouth. This small place is full of magnificent Georgian buildings that have kept the grace of old times. 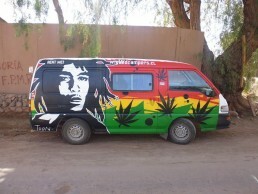 Probably the most attractive place in Jamaica is the home of Bob Marley which is now turned into a museum. It is completely preserved and you can even see the bullet holes in one room. They are a leftover from an attempted assassination on Marley which had luckily failed. The Institute of Jamaica’s museums is also a great destination for all of the people who want to learn a bit more about Jamaica’s past. This institution will present you the interesting past of the country from prehistory to modern times. 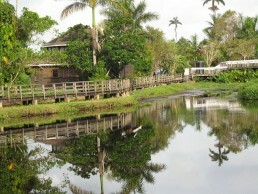 You should also use the chance to check out some of the finest examples of amazing nature on the island. The Blue Mountains and John Crow Mountains National Park is a great place to witness the diversity of Jamaica’s natural habitat. Here you can see incredible waterfalls, exotic plants, and some cool animals running in the wilderness. Rio Grande Valley is another amazing adventure you can take by hiring a bamboo raft. Just be prepared to get a little bit wet. These are just some of the main attractions in Jamaica, but you will have a chance to check out even more of them once you arrive. Being one of the most desirable destinations in the world is exactly what brought Jamaica many extraordinary, all-inclusive types of lodging. 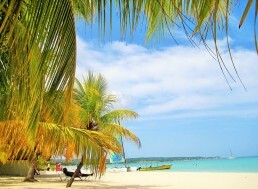 Hence, a vast number of all kinds of lodging are available in Jamaica today. Thus, depending on your budget, you can choose either a villa, a hotel, or a guesthouse. Caterers in Jamaica put an accent on comfort and happiness of their visitors, and should you visit the island this year you can also find a large number of apartments that will provide you with peaceful atmosphere and maximum privacy. Villas in Jamaica are a dream come true. 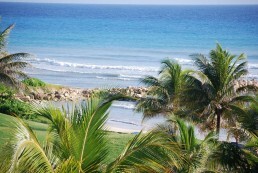 Each and every of them has an excellent location, close to the beaches. What is more, most of the villas have their own, private beach, as well as the swimming-pool, thus creating a heaven-like holiday for every guest in Jamaica. The views overlooking the sea from the villas are spectacular, and it is no wonder why many visitors choose them for their accommodation during the stay in the country. You may try booking Belmont Villa, Beach House Villas, Carribean Fairways or any of the wide range of the great villa houses. The hotels like Altamont Court Hotel, Azul Sensatori Jamaica, Beaches Ocho Rios and Cariblue Hotel will undoubtedly provide you with super all-inclusive service, luxurious rooms, and well-trained staff ready to assist you with anything you need. Your vacation in one of these hotels will inevitably become an unforgettable adventure. However, if your budget is somewhat modest, Jamaica is a hit since there are many cheap hotels and hostels on the island that provide you with excellent service and clean rooms. Therefore, it is entirely up to you and your wishes. Jamaica is an excellent location for every visitor, readily fulfilling all the requests and demands, and it will inevitably make your dreams come true. Gastronomy in Jamaica is indeed exciting not only to gourmets but also to all those who love to taste new dishes and flavours. 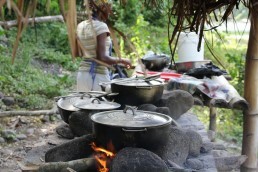 The locals usually say that their traditional meals are prepared with a lot of love and heart, so once you reach the island, you can easily feel the Jamaican great cuisine. Don’t leave the island without trying traditional meals like goat curry or dumplings. Those who have already visited Jamaica state how the best ackee and jerk were exactly on the isle. Jamaica offers a broad range of restaurants for every taste, and you can find either traditional or international meal on offer. Therefore, if you are not so fond of foreign meals, you will surely find excellent international dishes in Jamaican restaurants. The places that sell seafood are especially popular on the island, so don’t miss the chance to visit Cosmos Seafood Restaurant or Grog Shoppe Restaurant. And vegetarians should not be worried at all since there are a few excellent suggestions while in Jamaica. For instance, New Leaf Vegetarian Restaurant offers the tastiest and most creative vegetarian meals. So, one thing is for sure: While being in Jamaica you will surely not be hungry no matter how demanding your palate is. The island indeed offers delicious meals for everyone. If you are to visit Jamaica for the first time, then be ready for a holiday full of adventure, excitement, and busy days. Namely, you will have the chance to experience some of the best hiking tours, as well as the inevitable scuba diving, or sailing. Moreover, you can always find the agencies that offer the well-known Calypso Rafting, jungle river tubing, or various safaris. Of course, golf and horseback rides are on offer in any part of the country, so even if you have planned a lazy vacation, you may change your plans very fast. In addition, if you are a nature lover, you are more than welcome to visit nature reserves and animal farms in the country, or the famous Blue & John Crow Mountains National Park. These are true recommendations and it would indeed be a pity if you missed them.